As much as I absolutely adore Japanese food, we took a break from our much loved Yakitori and Katsudon to try an interesting concept in casual dining. 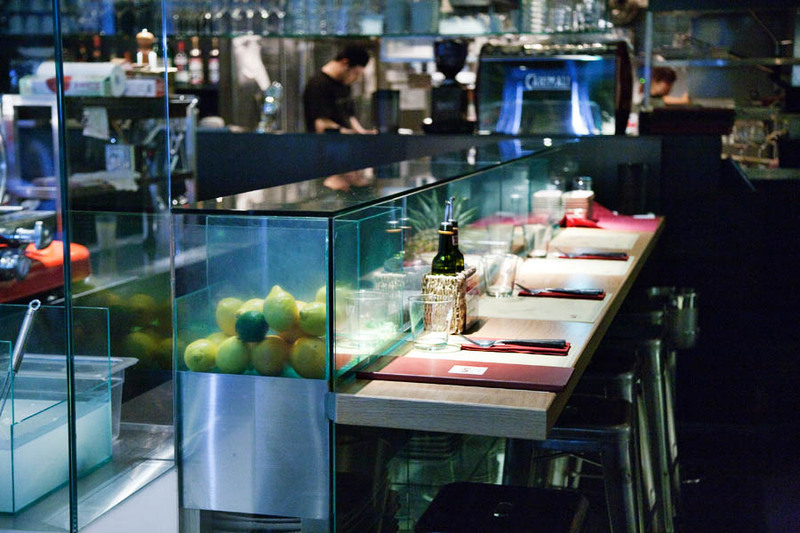 A restaurant entirely based around creamy, fresh mozzarella flown in daily from the Paestum and the Agro Pontino areas of Italy (how extravagant!). 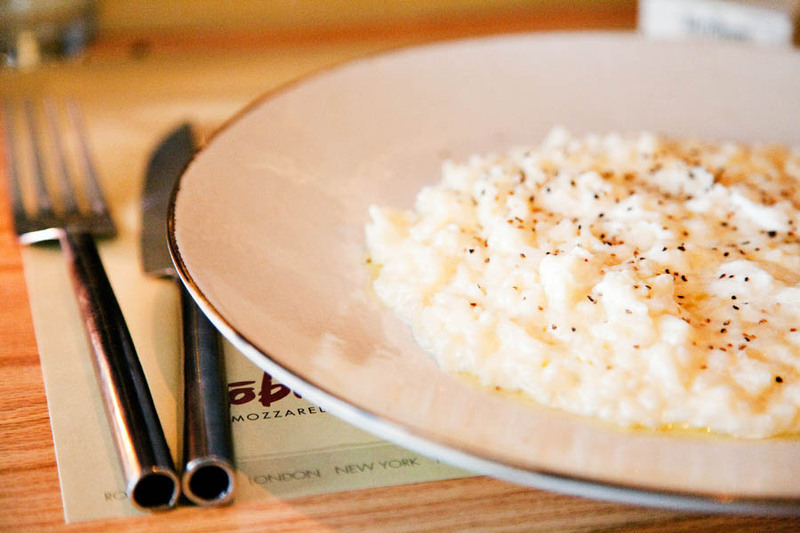 Secretly I will confess, we went because we were hoping they would have our beloved burrata… they didn’t. But we stayed because the rest of the menu looked so attractive. All cheeses are provided with a DOP certification (Protected Origin Denomination) to assure that they are made in the regions claimed and in the traditional Italian style of using milk from the water buffalo. 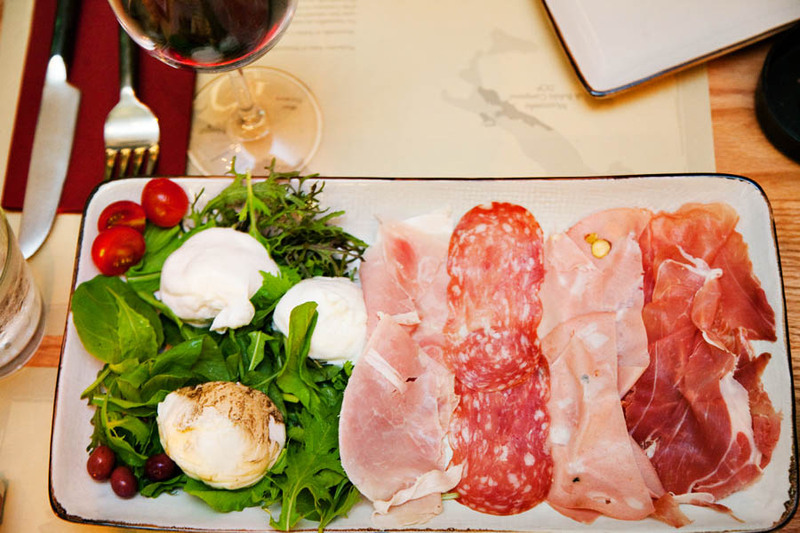 And it turns out that mozzarella is not the only focus here – there were a great number of dishes using wonderful Italian cheeses and we struggled to choose between all the tempting options. Sampling the cheeses this way in a mixed platter is such a wonderful idea…comparing and contrasting the delicate differences between the cheeses is half the fun of the dining experience. 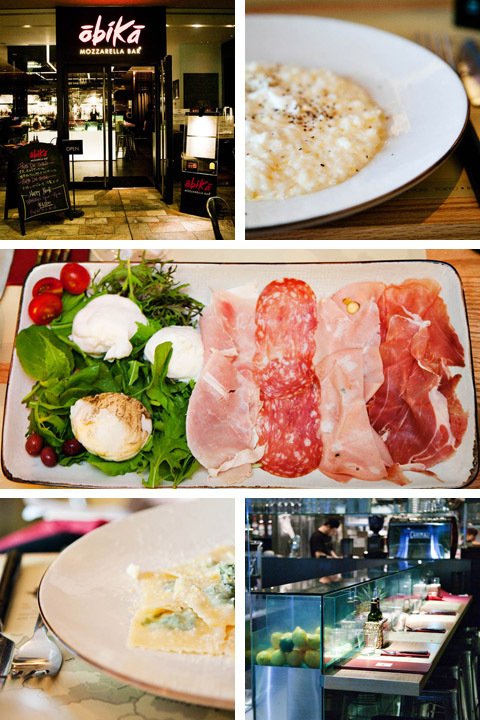 Our antipasto platter was followed by Ravioli with Ricotta and Spinach in a sage and butter sauce (¥1600 / $17.40 USD / S$24 ) and a Risotto with Grana Padano (¥1300 / $14 USD / S$19.70). While I will say, the cheese platter was truly standout, the entrees were less so. 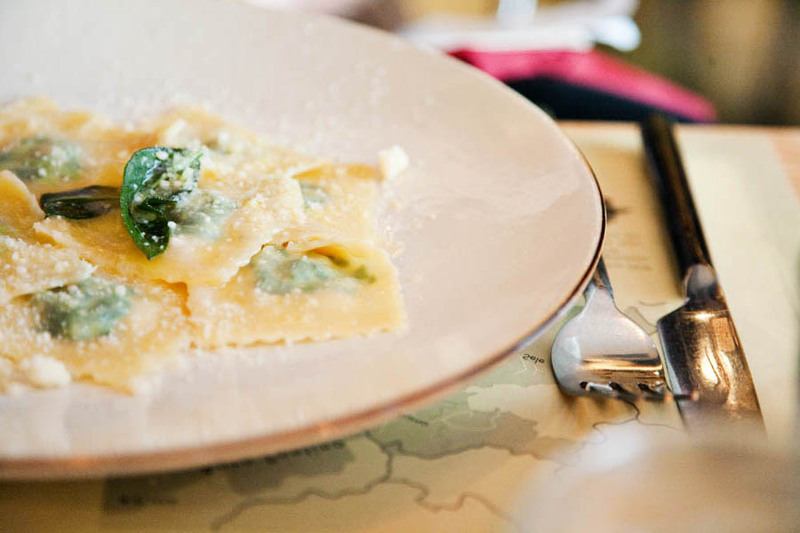 In fact I enjoyed the same dish, Ravioli with Butter and Sage, at Mrs Jones in Hong Kong so much more. Not that the entrees were suboptimal, just nothing special….good serviceable Italian. But destination dishes? Would I go back just for the pastas / risottos? Well….no. 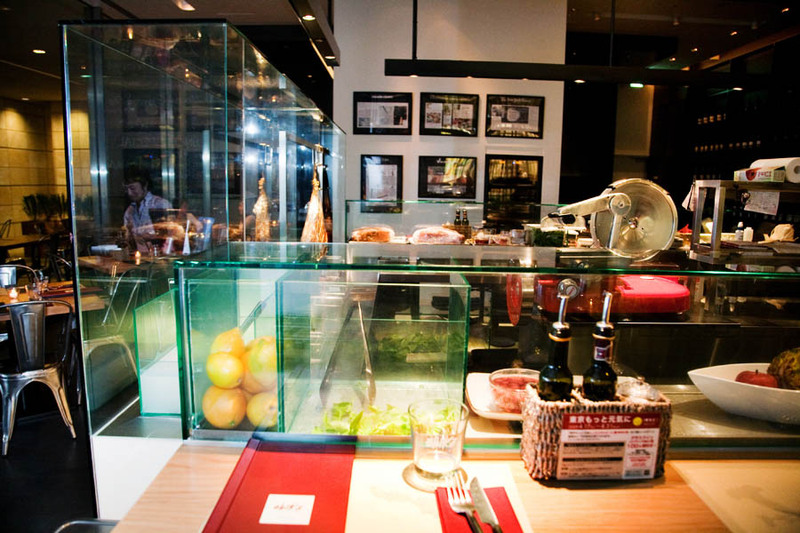 So perhaps you will learn from our experience and stick to the star of the show while at Obika – the fresh mozzarella. 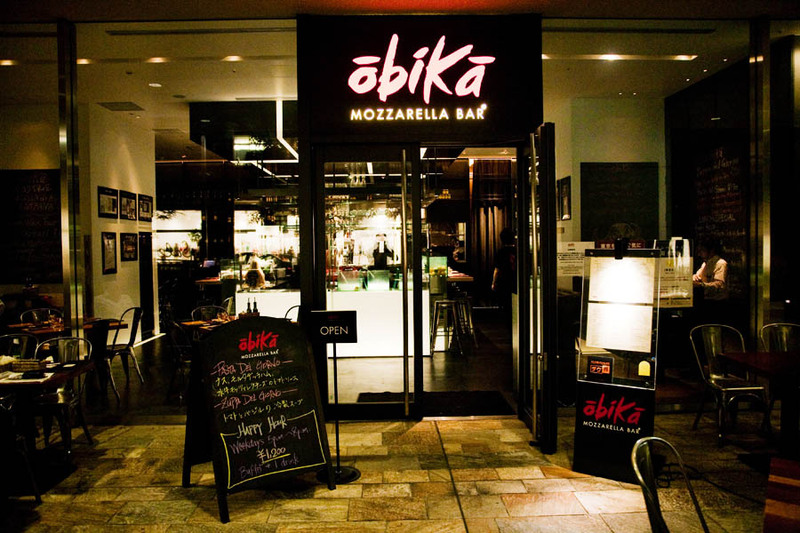 In fact, my perfect visit to Obika would involve popping by for a mozzarella based antipasto platter and a couple of glasses of Barbera d’Alba to start the evening. Bellissimo! Multiple locations: Tokyo, Rome, Milan, NY.